This outfit is left over from Wednesday when I was running around like a madwoman and didn't have time to post. I wanted to showcase this super cute blouse that's been languishing in my shop for a while now. I think it is really adorable and sweet, so I thought modeling it might get it a little more attention! I decided to pair it with my favorite red trousers and black velvet blazer. This is one of my go-to combos — I always feel comfortable and polished in this outfit, and it's carried me through from fall to early spring without a hitch. I got photobombed a couple of times by my daughter, who is now enamored of taking pictures. But I got the shot I was trying to get after several attemps. I am already imagining other ways to style this blouse — wouldn't it look cute tucked into a skater skirt? Or with high-waisted shorts? Don't forget about this week's giveaway! 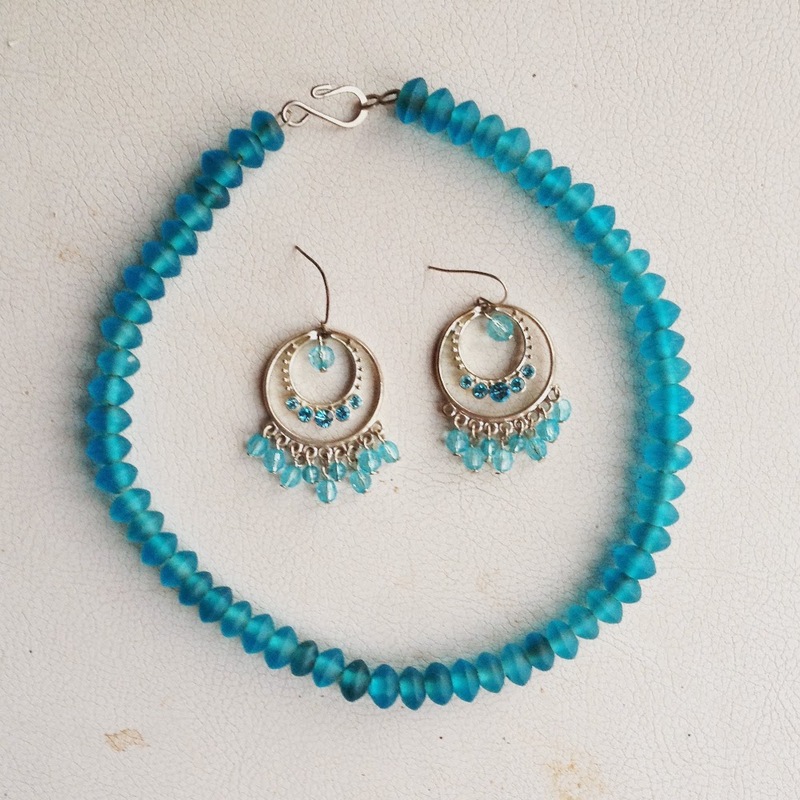 You can still enter to win this pretty blue glass jewelry set until midnight tonight (Eastern time). To enter, follow me on social media (links to the left of this post), comment on the original giveaway post, or look for my giveaway posts on my social media outlets. Winner will be picked by random drawing and announced tomorrow. Good luck and have a great weekend!